The PBS Radio Festival is our annual fundraising event where we ask our listeners for financial support. It’s just around the corner and we need wonderful volunteers to take phone calls, and enter memberships into a membership database. Radio Festival runs from Monday May 13th through to Sunday May 26th, and we have volunteer shifts around the clock. A good phone manner, strong data entry skills, great communication skills, and an understanding of PBS are a must. Do you think you could help? To put your hand up to volunteer in the phone room, register here. 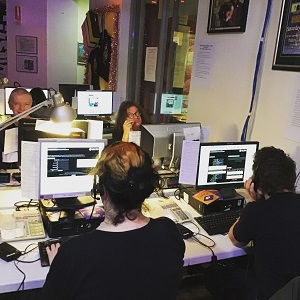 If you’d prefer to assist in the administrative volunteer roles on and after the radio festival click here. It’s fun to help out, meet other people who love PBS in person and on the phone, and see radio in the making.